We obviously have a fondness for combustion engines. We love the smell, the noise and even the odd pipe burn. 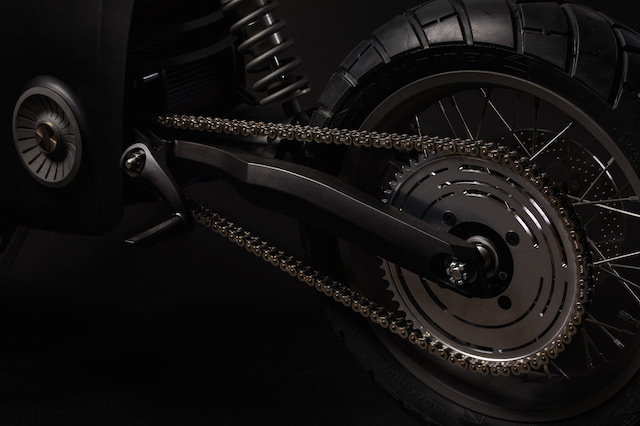 But we don’t have to look into a crystal ball to see that electric motorcycles will play a big role in the future of the motorcycle industry. 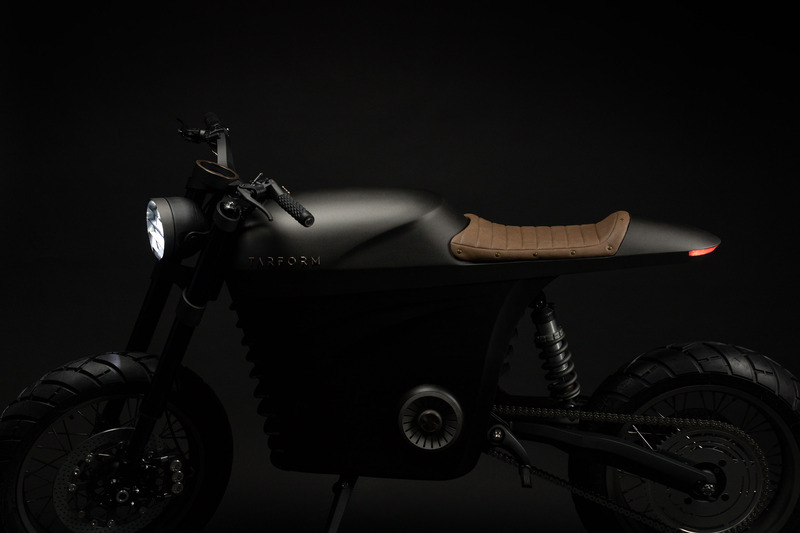 A few years ago, Tarform Motorcycles saw the huge potential for e-motorbikes and decided to build ‘the motorcycle of the future’. Tarform are an automotive start-up company based both in Brooklyn, New York and Stockholm, Sweden. After building a number of combustion engine motorcycles in the past, they have just launched their first electric motorcycle prototype, unveiled at the NewLab Innovation Centre in Brooklyn. 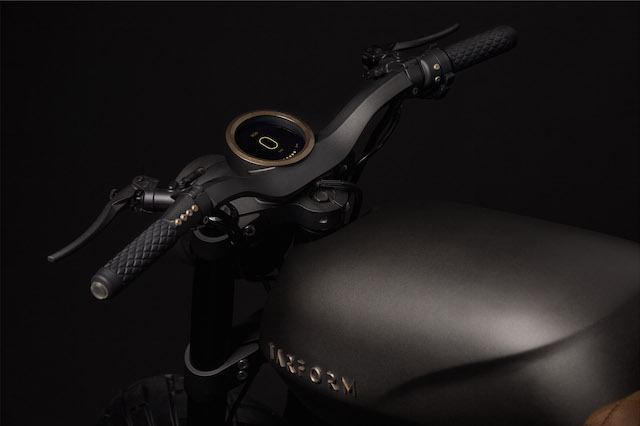 The project has been two years in the making, with Taras Kravtchouk, the CEO and co-founder of Tarform, spending the first three months designing the bike. “I wanted to design something simple, approachable and appealing; not for the existing rider, but someone who always wanted a motorcycle but might be intimidated by the motorcycles on offer,” says Taras. Tarform Motorcycles will be built around a modular platform that makes customisation very easy. They are launching with a café racer and a scrambler, which both share the same 58 inch wheelbase and 30 inch seat height. Additionally, as technology improves over time, consumers will be able to upgrade various parts, such as the battery pack for increased range and reduced weight. As a result, the motorcycle will have a longer lifetime and less wasted parts. 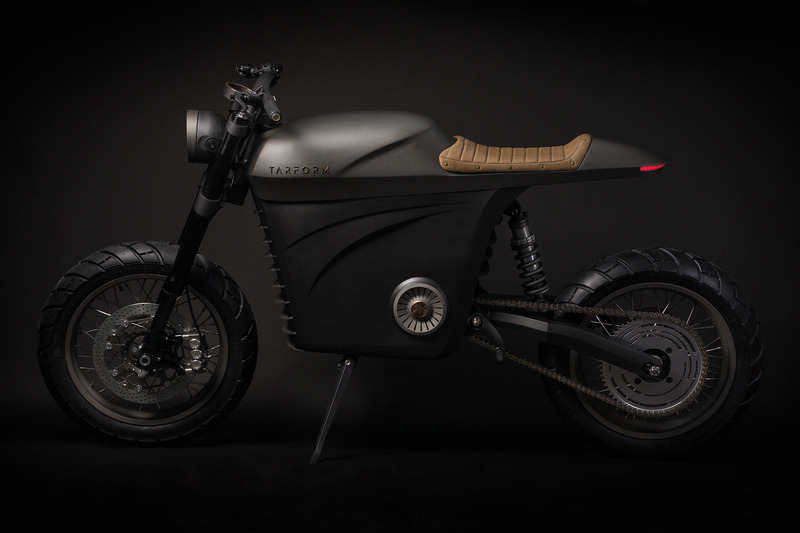 The pièce de résistance of the Tarform prototype is the stunning tank. Taras designed multiple different tanks over many months and finally settled on this simple but modern design. 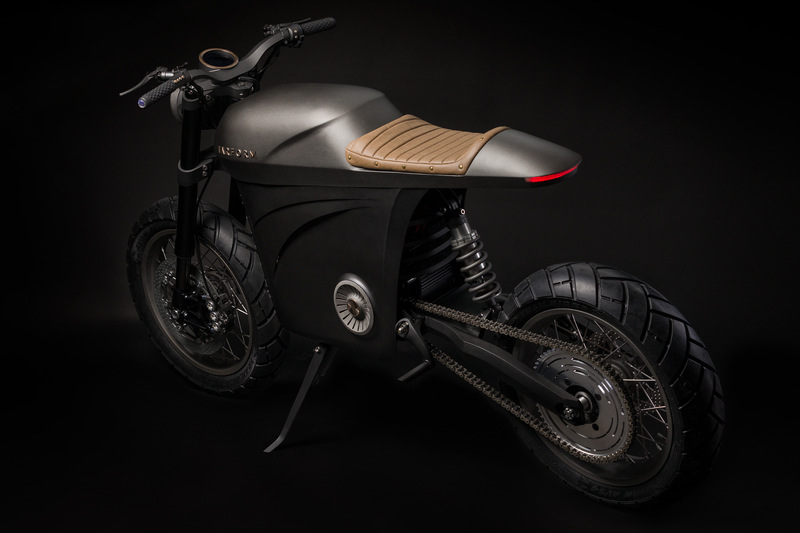 Once the design was completed, they commissioned the talented guys at Keino Cycles in New York to bring it to life. One advantage of electric bikes, is their quick off-the-line acceleration, and the Tarform e-motorbikes are no different. The bikes can be set up two ways for two different things: higher top speed or faster acceleration, with the top speed getting up to a very respectable 120mph, depending on the sprocket setup. Obviously, being an electric bike from the future, it comes with a lot of technology built into it. Tarform’s digitally integrated smart system will optimise the riding experience by monitoring the health of the vehicle. If any mechanical issues are detected, the rider will be alerted. The integration of artificial intelligence enables the machine to also be aware of its surroundings and warns the rider of any potential danger. 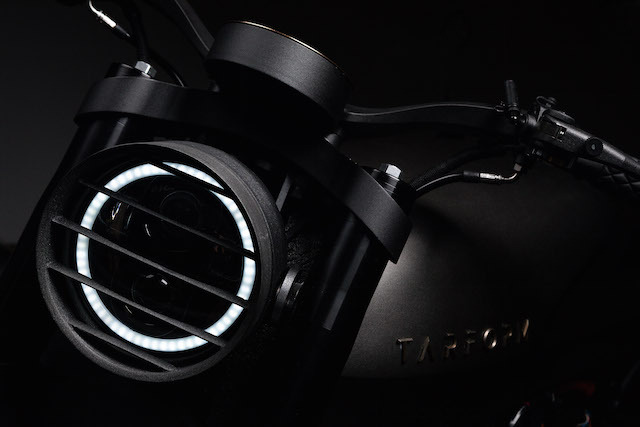 We think the gents at Tarform Motorcycles have nailed the design and we look forward to seeing these bikes hitting the streets. 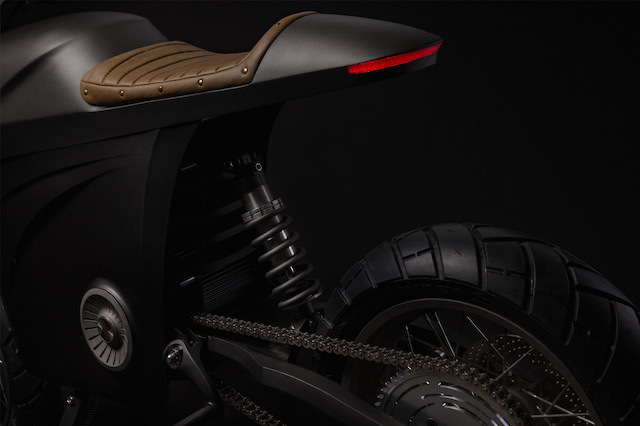 Who knows, they might just become the Tesla of motorcycles. If you like what you see and have some cash burning a hole in your wallet, you can register your interest to buy one via the Tarform website.